Join the EIU Department of Music for a day of French horn events on Sunday, April 15, 2018 in the Doudna Fine Arts Center. 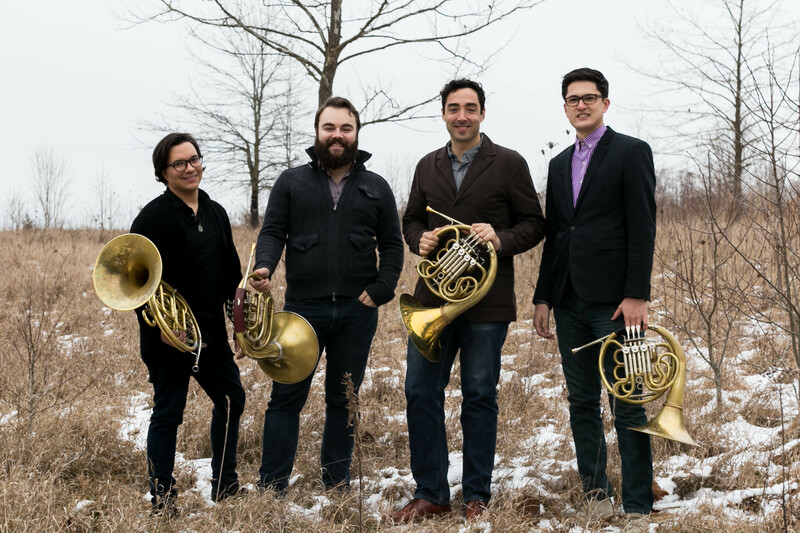 This one-day event will include recitals, masterclasses focusing on chamber music and solo performance, a massed horn choir reading session, and will feature guest artists Victoria Knudtson, hornist with the St. Louis Brass Quintet, and the Skylark Horn Quartet. The registration fee is only $15 and includes all events and performance, a commemorative cleaning cloth, and a catered lunch from Smoky’s BBQ. The EIU Horn Day is open to all horn players of all ability levels! If you have any questions, please feel free to contact Dr. Kevin Miescke at kmiescke@eiu.edu. The chamber music masterclass still has room for participants! There are application details on the registration form, but all groups from 2-6 horns will be considered. Any length of music (less than 8 minutes) will be accepted. If you would like to apply to participate in the solo performance masterclass, please email Dr. Miescke with your repertoire selection and the length of your piece (3-5 minute limit). 4:00 PM - Thanks for coming! See you next year!